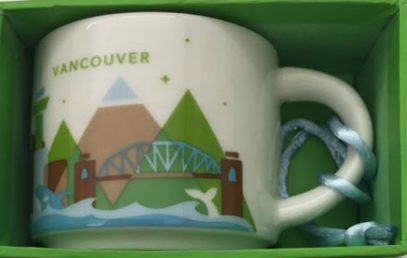 It has been finally reported that Vancouver YAH Ornament hit Starbucks stores. 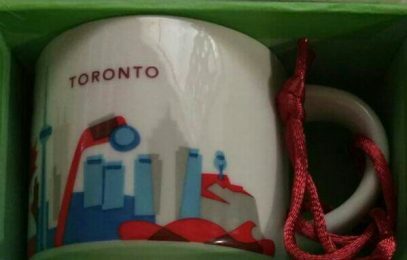 This is the third Ornament in the Canadian series after Canada and Calgary The lace is obviously light blue as it is the same as the inside of the mug. Interesting note – this mini is only $1 cheaper than regular YAH. 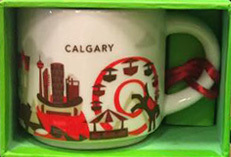 It happened – something we’ve been waiting desperately – Canadian YAH Ornaments. 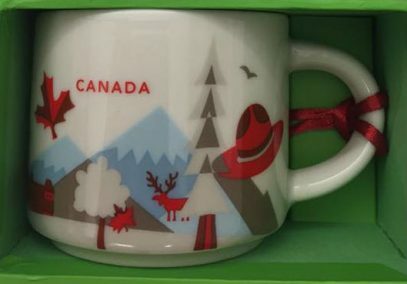 After a bunch of releases for Europe and Asia it was somewhat expected that Canadian YAH Ornaments are on their way, but you can never be sure with Starbucks mugs releases.